Mercedes Benz's SLS supercar is a stunning machine with the aesthetic impact and performance prowess worthy of the German Emblem. 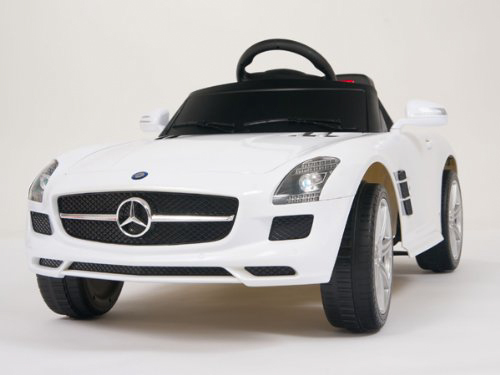 We bring you a version of this awesome car shrunk down to size for kids. 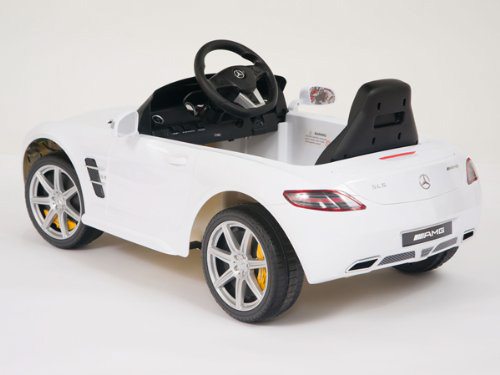 It’s got all the styling of the real Mercedes SLS and your child will love piloting the new ride. 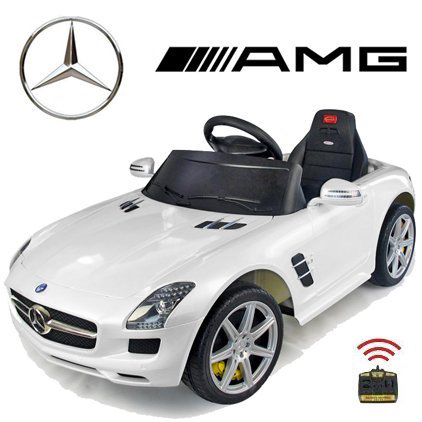 This battery powered machine is loaded with cool features for your kid to enjoy. Insert the key and switch on the ignition and you will hear a simulated engine roar to life. 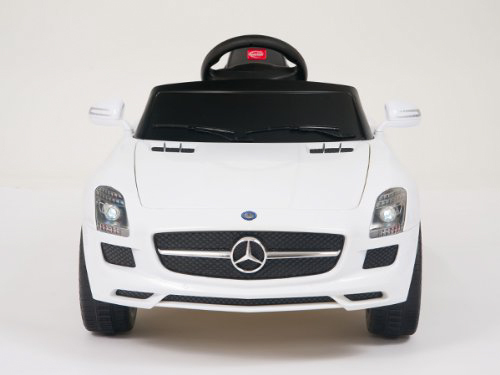 Working horn, lights, and blinkers allow your child to mimick the way they see you operate your own vehicle. A shift selector allows the driver to select forward or reverse. 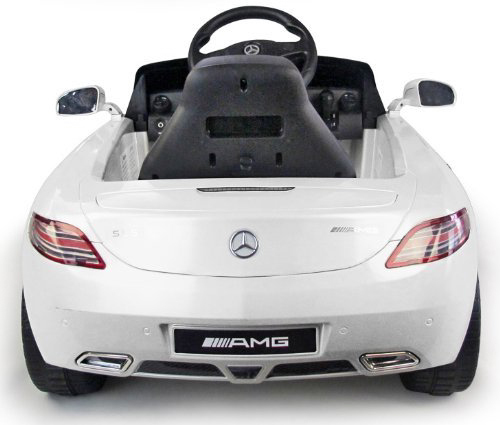 A 3.5mm audio input jack allows the child to plug in and play music from the onboard speaker. A seatbelt is also mounted so the child can buckle in. Practice safe driving habits parents! Your child will learn the same and do so in their own car! For maximum safety, a remote control unit is also included in each package so someone can keep watch and ensure the vehicle does not veer into dangerous situations. 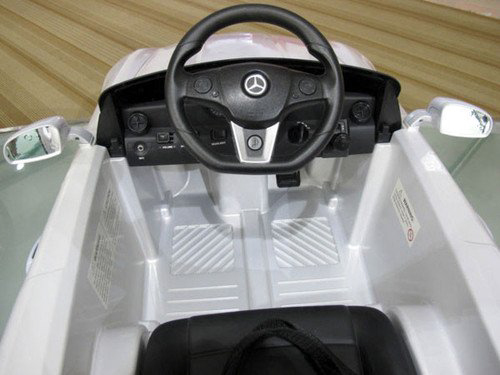 The vehicle will reach speeds of up to 2.5mph on the included battery and motor. This car is ready to ride out the box. 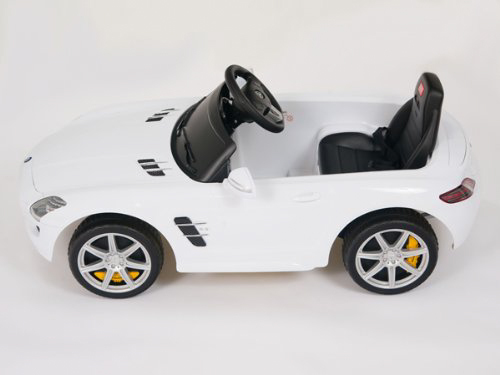 Install AA Batteries (not included) into the remote control for parental supervision, charge the vehicles on board battery with the included charger and your child will be ready to experience the drive. Size: 44" x 21" x 15"